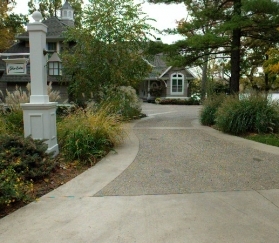 Your driveway is one of the first things seen by visitors or passers-by. 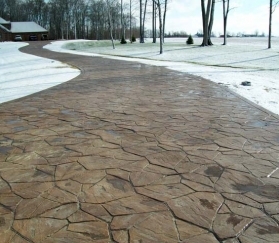 Why not enhance your property’s appearance with a driveway poured with stamped concrete, stenciled concrete, colored concrete, or covered by a concrete overlay? It’s one of the best ways to boost your home’s curb appeal! 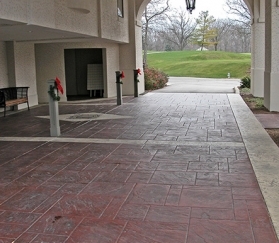 The decorative concrete driveways you see below were all designed and installed by members of the Indiana Decorative Concrete Network. These Indianapolis area concrete contractors have years of experience installing stamped concrete, stenciled concrete, acid stained concrete, concrete overlayments, and concrete countertops all over Indianapolis, Central Indiana and beyond. 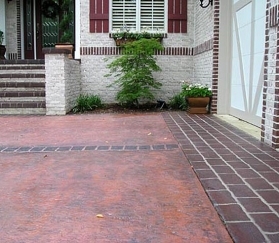 Find a contractor for your decorative concrete driveway by clicking here.